Be a SUNWARRIOR with Watsons! Being in a tropical country all my life, summer is all year round and it's more fun to go out for a run, relax at the beach, or bask in the sun for that gorgeous glow. However, it's not always fun especially when your skin starts getting that burning sensation. The sun's UV rays can cause unseen permanent damage to your skin and without sun protection; your skin is more prone to premature aging. I myself have experienced a really bad sunburn. My face had a burning sensation for almost two weeks and then I started pealing. My kids suffered the same thing. It was not a pretty sight! :( Hence, I always made sure I'm protected when under the sun. But did you also know that even cloudy days can cause harm to your skin? 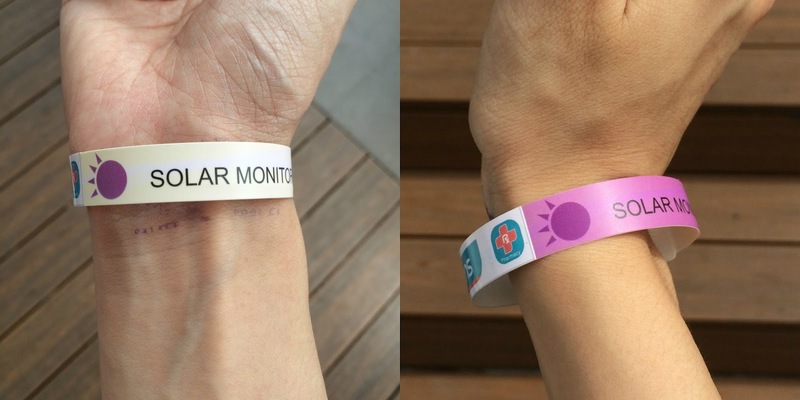 Because UV rays are still present, whether the sun is out or not during the day. Watsons simply shows us that it's not just about looking good; it's about feeling great too. So, whether you're the sporty gal, the beach bum, or just the common commuter, you, too, can be a SunWarrior - someone who is bold, brave, and protected under the sun. Sunscreen helps you enjoy more and worry less whenever you're outdoors. Just remember that while it can protect you from the sun's harmful UV rays, a lot of its active ingredients can break down over time. So, remember to gear up with your go-to sunscreen and make sure to reapply to get that full sun protection. • Neutrogena Ultra Sheer Dry Touch Sunblock SPF 50 – offers breakthrough technologies which provide advanced sun protection from the sun. 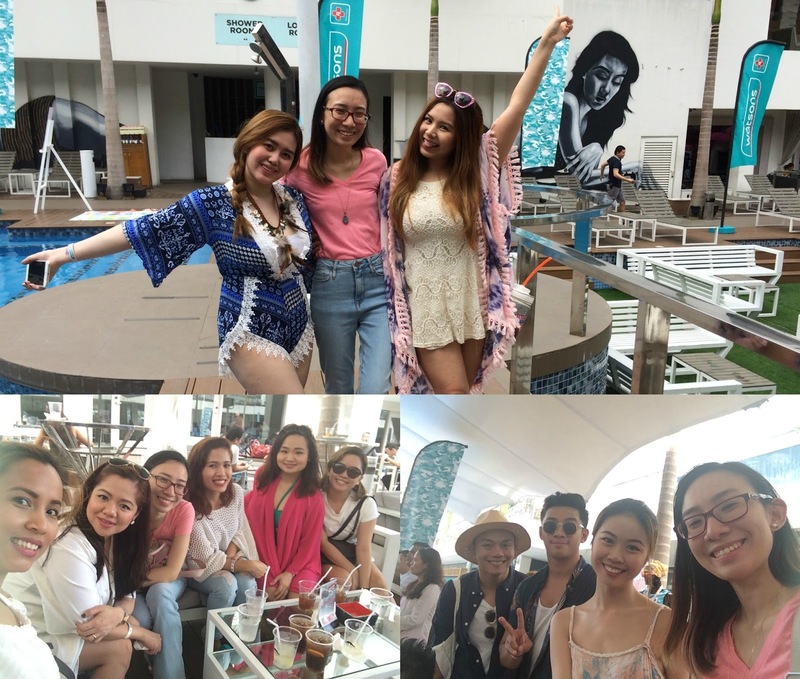 Summer vacation is just a month away and I'm sure you're all starting to see a lot of swimsuit and summer themed decors and colors at establishments! 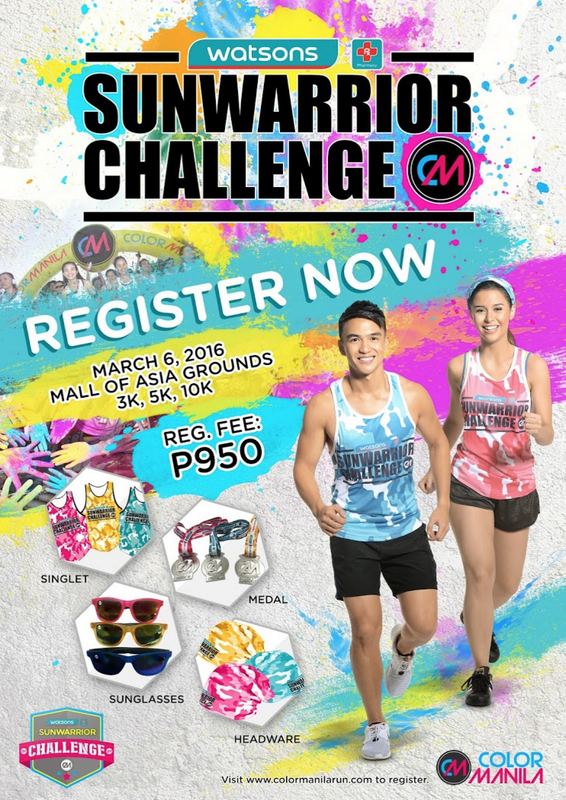 So, why not unite with your fellow SunWarriors in Watsons SunWarrior Challenge on March 6, 2016 in SM Mall of Asia Grounds. Watson will also be offering an exclusive summer promo for cardholders of SM Advantage, SM Prestige and BDO Rewards. Always remember to have a smart sunscreen habit to keep sun protected!